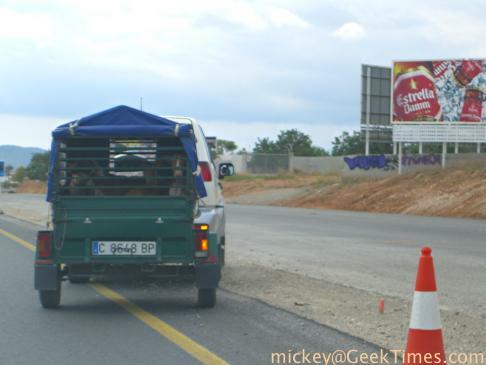 We'd expected to have Omi Marga's car waiting for us in Sant Joan, but the folks who had borrowed it took it to the airport when the taxi driver slept in. So we're going to have to do a bit of back-and-forth today. First thing this morning, my late Mother's husband, came by to pick me up with the rental car. Here's the view from Daniel's finca, with Emil at left. Turning around, here's the finca, with the entrance on the middle-left. I like how these blend in with the landscape, which is, of course, exactly what they ought to do. Good morning, brother-in-law Adam! 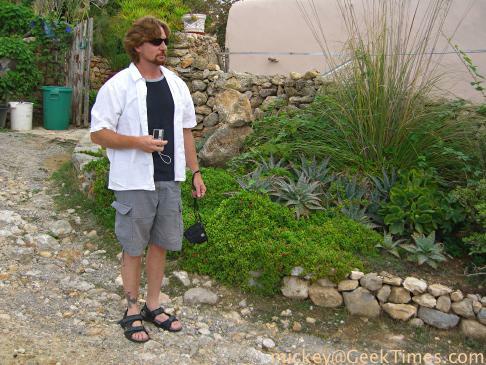 He's toting around their new digital camera, now that the coffee has been downed. 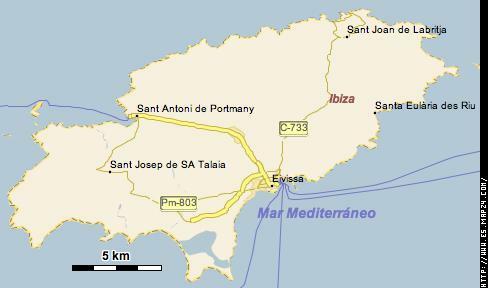 Okay, we're heading down to the airport, a bit south-west of Eivissa Cuidad. (Maybe I can dig up a route planner for Ibiza. Let's see. Okay, here goes...) We're at the top of the island. It's not a long jaunt, perhaps 12 km (7 mi). 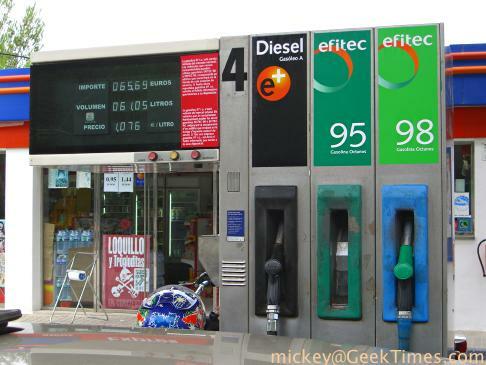 The gas station is only a few kilometers from Sant Joan, where the family is waiting at Casa Puerto Allegre.